Places lusciously remote definitely have something of an edge when it comes to romance. 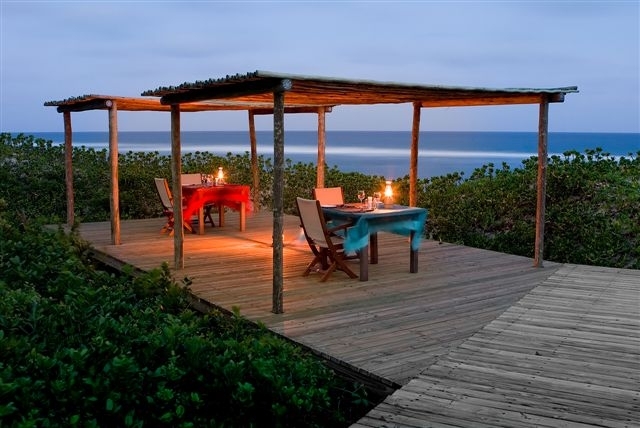 On the Eastern Cape’s wickedly beautiful Wild Coast, Prana Lodge is set in an indigenous dune forest with private access to 21 km of barely-touched beach. It’s a soul-soothing sanctuary for beachside bliss, and if anything will spark romance, this is it. It’s also a place that allows for a gentle reconnection with one’s deepest rhythms at a wonderful wellness spa. Mail us. 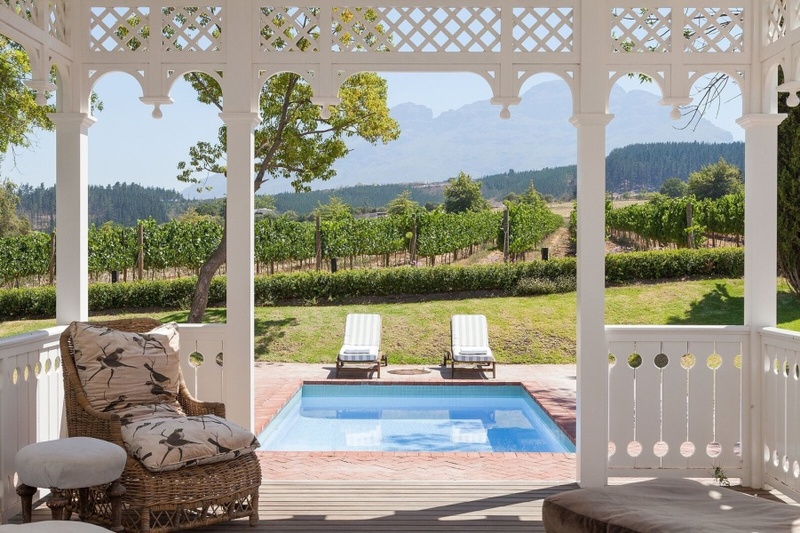 Head for the Cape winelands and kindle romance at Lanzerac Hotel & Spa on the edge of Stellenbosch. Sprawling vineyards at the hem of great mountains, a sense of history, fine food and wine, an excellent spa, and sumptuous accommodation all add up to a place where couples can find tranquility and much to awaken the senses. Mail us. 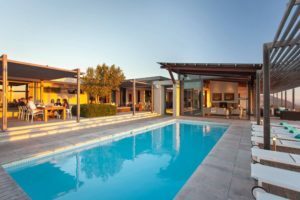 Abalone House & Spa offers five-star luxuries beside the sea in Paternoster. 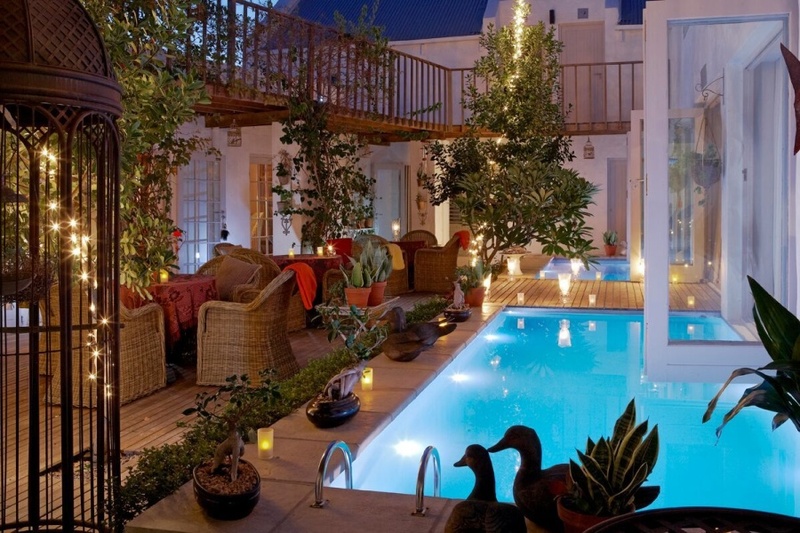 This boutique hotel is an eclectic visual tapestry of texture and colour, cocooned within a central poolside courtyard. 90 Minutes from Cape Town, this is a sumptuous and very romantic beachside escape where guest comforts are top priority. Mail us. 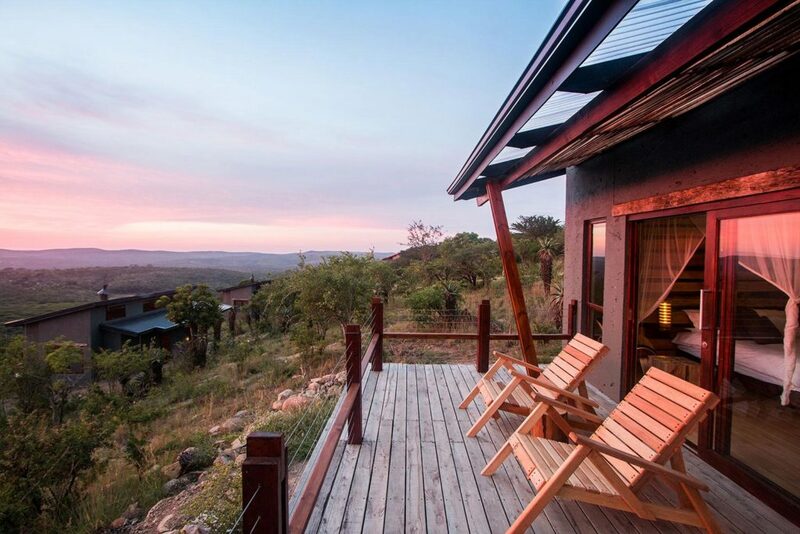 Rhino Ridge Safari Lodge is a fashionably luxurious safari lodge in the Big Five Hluhluwe iMfolozi Park in KwaZulu-Natal. Safari Rooms, large Luxury Bush Villas and secluded Honeymoon Villas are all superb options for a romantic safari getaway. Draped beds, luxurious provisions, private decks and landscapes larger than the eye can hold create sanctuaries of privacy for couples. Mail us. 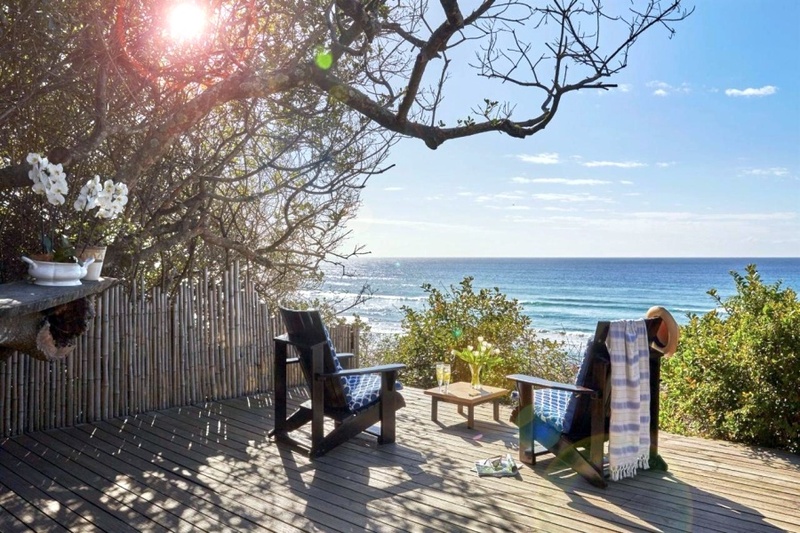 Retreat to a luxury beach lodge where forests contain you beside a remote shoreline on the Maputaland coast of KwaZulu-Natal. 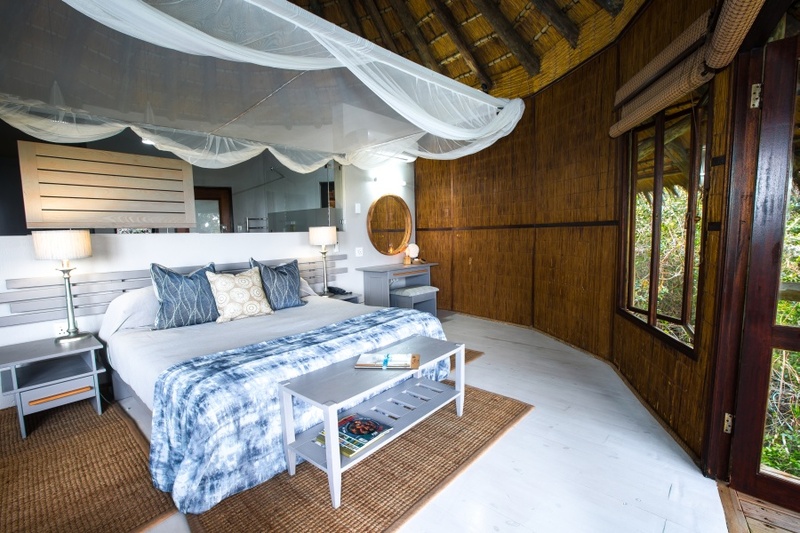 Thonga Beach Lodge is tucked away in dune forest just metres from the beach. Far from the jostling crowds, it’s a romantic’s dream come true. Enjoy an exclusive brand of barefoot luxury and share awesome outdoor activities with your loved one, such as snorkeling, diving with launches, kayaking and seasonal turtle tracking. Bed down in a sublime reed-fringed suite with the vast ocean just outside. Mail us. There are places deep in the bush that are just so irresistibly romantic. Garonga Safari Camp, for instance, is a soulful and exclusive tented sanctuary in Makalali to the west of the Kruger Park. 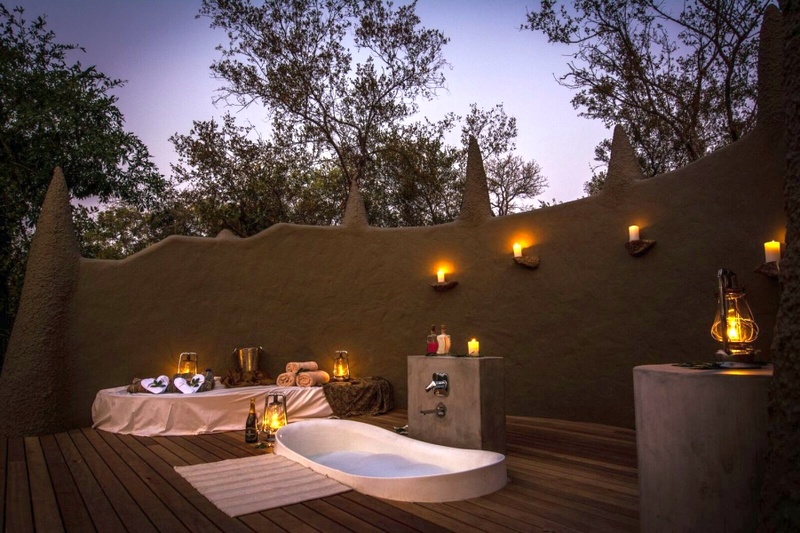 Earthy textures, draped beds, beckoning hammocks, bush baths by candle-glow under big African skies, and lusciously tantalizing al fresco meals are all part of the scene at Garonga. And there’s a bush-view sala that is just the place to ease into an aromatherapy or reflexology spoil. Mail us. 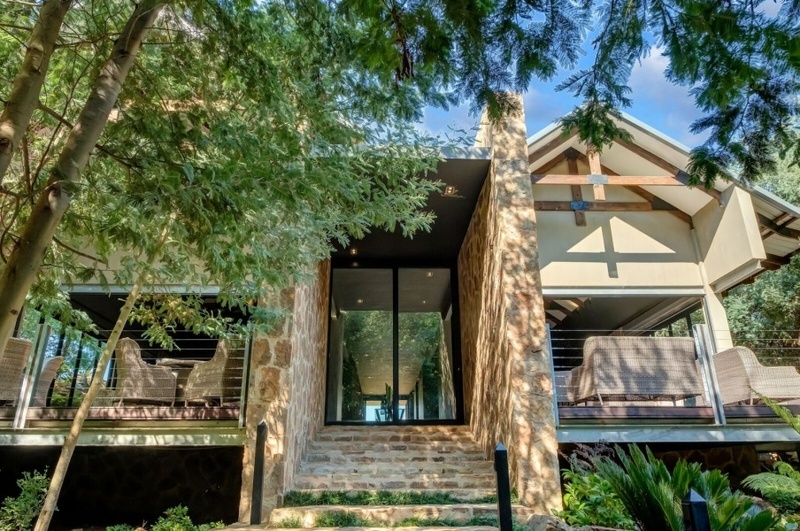 Akabeko Boutique Hotel & Spa is a chic and romantic riverside getaway set on a farm on the tranquil highlands of Mpumalanga, between Dullstroom and Lydenburg. Secluded valleys, a flowing river, waterfalls and woodland glades set the scene for a marvelously romantic escape in the countryside. 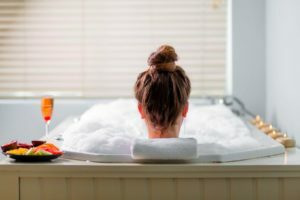 Suites are large and private, and offer lounge and dining facilities, deck, fireplace, and mosaic sunken baths that are every bit as special as private pools. On-site there is a refined restaurant, spa and outdoor jacuzzi. Mail us. We have many more romantic getaway ideas, so please mail us to ask, or call us on +27 21 797-7122.